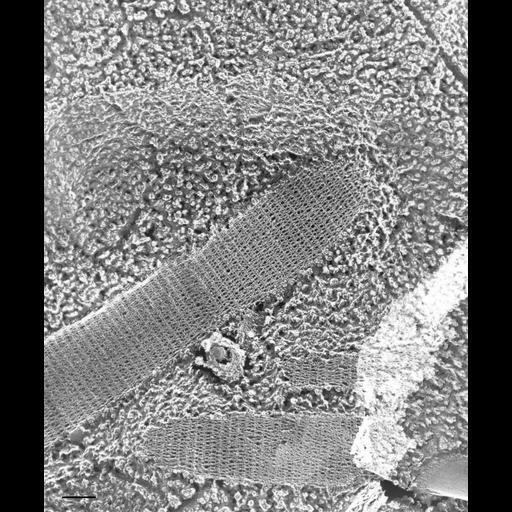 Released from the cell the trichocyst lengthens and its internal meshwork opens up into an elongated needle. TEM taken on 6/7/88 by C. Schroeder with Zeiss 10A operating at 80kV. Neg. 24,880X. Bar = 0.2µm.